Ballet Black is a neo-classical ballet company with nine critically acclaimed sell-out seasons to its credit. Inspirational and innovative, it strives to honour the traditions of classical ballet while breaking new ground with cutting edge choreography. 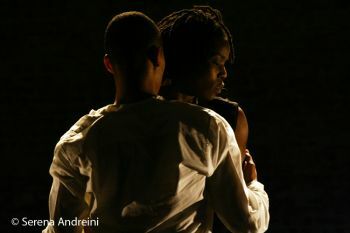 Recently nominated for two Critics' Circle National Dance Awards (for Outstanding Company and Best Classical Female for dancer Sarah Kundi) Ballet Black is an essential part of the classical ballet landscape, the perfect showcase for dancers of black and Asian descent, as well as a wonderful platform for choreographers, established and new. Not surprisingly, Ballet Black attracts dancers, choreographers and designers from around the world. In recent years, the company has worked with Richard Alston, Liam Scarlett and Will Tuckett; for their forthcoming 2010 season, hip hop choreographer Robert Hylton makes a brand new pas de deux, the award winning classical choreographer Christopher Hampson creates a piece for the full company to the music of Hindemith and modern dance maker, Henri Oguike creates his first classical ballet. 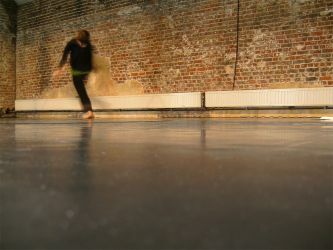 Petra studied at London Contemporary Dance School before joining the postgraduate company EDge (2006) where she danced pieces by e.g. Siobhan Davies and Trisha Brown. Her UK dance credits include AlettaCollins's Les Noces and Dido and Aeneas (Opera North 2007) and Red Balloon (ROH2 2009), Anna Williams's Clearing (commissioned by The Place Prize 2008) and I Am Falling directed by Carrie Cracknell (Gate Theatre,London). She has performed her own works in e.g. The International Solo-Tanz-Theatre Festival in Stuttgart and was in 2007 commissioned by the Leche Trust to choreograph for EDge06. Petra is also a member of IPL (International Performers Lab) under direction of Khosro Adibi (BE/NL) and is a founding member of WerkstArt. At the moment Petra is currently working with Fevered Sleep for the production of The Forest. SEZDRENAH is a new emerging company formed in 2007, based in London, whose founders are 2003 graduates of DeMontfort University (Bedfordshire University). Their aim is to entertain, educate,promote performance as an expressive art form and to create opportunities for performers to showcase themselves and there work. SEZDRENAH is focused on producing performances that touch your senses.